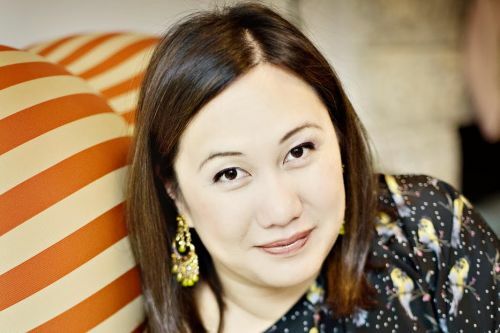 Melissa de la Cruz is a Filipino-American author of young adult fantasy and YA chick lit novels, in addition to several non-fiction books. She writes the Beach Lane/Au Pairs, Blue Bloods, The Ashleys, Beauchamp Family and other series. In the past, Melissa has written for several top publications as a fashion and beauty editor, including the New York Times, Marie Claire, Harper’s Bazaar, Glamour, the San Francisco Chronicle, McSweeney’s, Teen Vogue, CosmoGirl! and Seventeen. She lives in Los Angeles with her husband and daughter, with frequent trips to New York City. Diary of the White Witch is a prequel novella to the Beauchamp Family series. Notes: The novel The Au Pairs is also known as Beach Lane. Angels on Sunset Boulevard is also known as Angels on Sunset Strip. Witches of East End was also published as Witches of East. The Heart of Dread series is co-authored with Michael Johnston. Mistletoe also contains stories by Hailey Abbott, Aimee Friedman and Nina Malkin. Blue Bloods: The Graphic Novel was adapted into graphic novel format by with Robert Venditti, based on de la Cruz’s writing. Girls Who Like Boys Who Like Boys is co-edited by Tom Dolby. The Ashleys was re-issued as The Ashley Project. Jealous? was re-issued under the title Social Order. Surviving High School was written with Lele Pons.